Every year authority of the Staff Selection Commission conduct Stenographer examination and those competitors are going to appear in the examination they face Reasoning Ability paper in the examination. A Huge number of students think the Reasoning Ability is the easiest subject because it based on the logics and few candidates think the Reasoning Ability is the toughest paper. So we are here for gives you some essential Tips and Tricks for Crack Reasoning Ability for SSC Stenographer 2017 Exam. Examination paper of the SSC Stenographer is distributed in the following section such as General Awareness, English Language and Comprehension, General intelligence and reasoning. 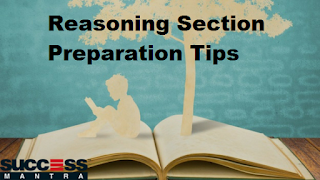 In this entire subject, reasoning is subject which contains many logics, candidates easily solve the Reasoning Ability paper because it purely based on logical terms. So here we are trying to provide you SSC Stenographer 2017 reasoning preparation tips and syllabus which help you in solving the paper efficiently. Let us have a glance at Preparation Tips for SSC Stenographer 2017 Reasoning Ability. Study Material: Applicant must have better study material and essential stationery. We suggested to competitors that you must collect all necessary study material because it consumes time at the time of examination. Previous year Paper: Applicants who want to know about the pattern of examination they must download the previous year paper for this examination. Candidates have to contact us for download the old paper of SSC Stenographer. Schedule of Day: Competitors should prepare a time schedule and follow it because candidates have to do more practice for achieving the goal. It's not an easiest because the competition is going to be tough because a huge number of candidate filled the SSC Stenographer 2017 Application Form. y diet: A healthy diet is one that supports to improve health as well as a mind. So take the proper healthy diet in exam time. Higher authorities of the staff selection commission conduct the reasoning ability test. Authorities organize SSC Stenographer examination for analyzing the level of candidates. So those candidates thinks the Reasoning is the toughest paper for them we provide the some topics which have good number of weightage as per view of the examination like analogies, similarities, space visualization, decision making, relationship concepts, arithmetical reasoning, differences, problem-solving, analysis, spatial orientation, judgment, arithmetic number, etc. We suggested to each candidate that you should read the prescribed topics for enhancing the power of reasoning. How to Prepare Reasoning for SSC Stenographer 2017? The Reasoning Ability paper needed the practice for the exam, all competitors have to do hard work for qualify the SSC Stenographer 2017 examination. For the ease of applicants, we give you the tips for How to Prepare Reasoning for SSC Stenographer 2017 Examination. If aspirants face any kind of trouble regarding SSC Stenographer Reasoning preparation tips then you may leave a message here.